May’s ‘new approach’ to the continent is essentially the same old selfish Britain wrapped up in new packaging. British ministers in 1948 discussed development investment needs for African colonial territories. The focus was not on the needs of those countries, but on how colonial development might best support the British economy. There was also a political calculation to be considered. Following the rebalancing of global power after 1945, ministers felt that only by strengthening Europe’s African empires could an emergent Western European bloc compete with the US and Soviet blocs. Now, 70 years on, “Africa” remains a shibboleth for British politicians, only this time as the solution to the problem of how Britain can maintain global power and influence following its departure from that Western European bloc under Brexit. 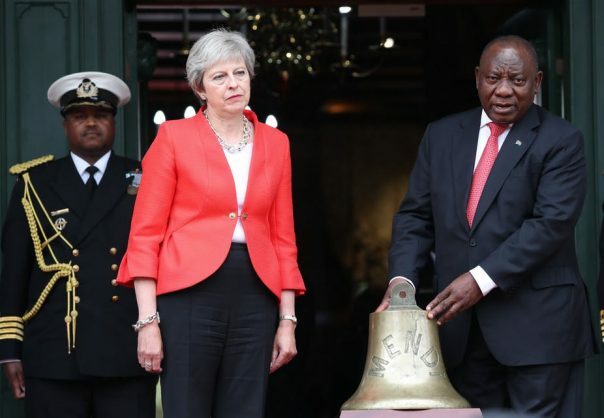 Theresa May’s much-hyped and much-reported visit to “Africa” (a trip encompassing South Africa, Kenya and Nigeria) has been sold as the means for deepening economic ties between Britain and the region. May announced aspirations for Britain to become the G7’s largest investor in Africa by 2022. There is to be an additional £4 billion in direct British government investment, to be matched by private sector investment (a relatively modest ambition). The prime minister pledged to defend the level of British aid (against conservative and media critics who wish to see it cut), while positing a reorientation of that aid spending to support the post-Brexit British economy.